Mike Matlack, owner of Gamefisherman, Inc. has recently announced the sale of his company to Erwin Gerards and Scott Dunnuck. Matlack has been at the helm of Gamefisherman since it was formed in 1985 and has built many legendary sport fishing boats; many of these boats are currently traveling the world over. Matlack is currently in the process of finishing a 50 foot Express and will remain with Gamefisherman to supervise and finish the project, and ensure a smooth transition. Gerards, who, among other high profile builders, has designed for Mike since 2008. Dunnuck, has owned, operated, and maintained many custom sport fishing boats. They are working on releasing a new line of composite Sport Fishing boats purposely designed and built for today’s demands. The Next Generation Gamefisherman’s are a perfect blend of sport with all the creature comforts. Simple, but functional with clean lines and ultimate performance. The new line of 43 foot models will be built of 100% advanced composite materials utilizing today’s construction techniques to reduce build time without sacrificing quality. The 43’ Nex Gen models will include a Walk-Around inboard or outboard, Express inboard or outboard, and Flybridge inboard with several interior layouts. As a matter of fact, they are off to a tremendous start with a signed contract to build a 43 foot Walk-Around outboard boat beginning May 1, 2018. In addition, Gamefisherman will continue to be available to build your ultimate custom model, in a variety of sizes. 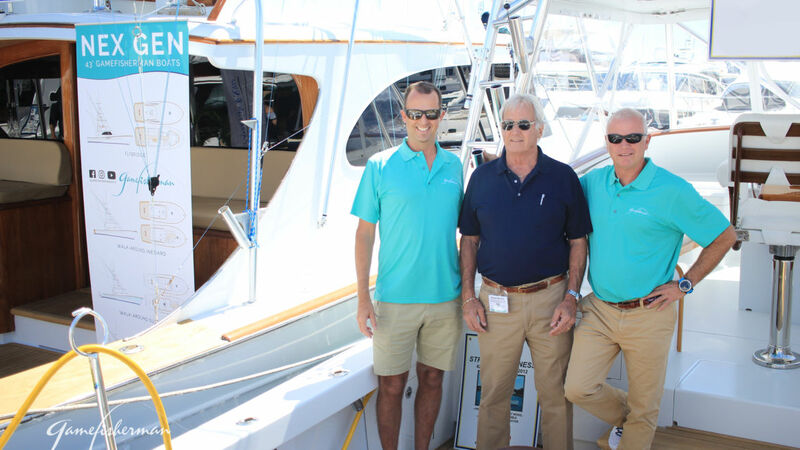 Gerards and Dunnuck are both very grateful to Matlack for this opportunity to keep his line of legendary sport fishing boats accessible for many years to come. For more information on what Gamefisherman is up to and how we are preparing to grow within the industry, please call (772) 220-4850 or if you are in the area, stop by our shop in Stuart, Fla. To connect with us on social media, like Gamefisherman on Facebook, and begin following us on Instagram – @gamefishermanboats.